About Copsey's Septic Services - Southern Maryland’s Best Septic Service and Maintenance. Who is Copsey’s Septic Service? 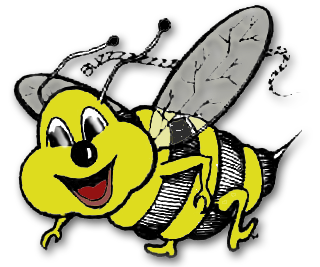 Copsey's Septic has been Bizzy Buzzing About Southern Maryland keeping peoples homes and businesses running well since 1967! Who we are... A professional company who stands by our committment to provide excellent prompt service. What we do- We clean (pump, backflush, empty) residential and commercial septic tanks in order for customers to have a properly functioning septic system. Copsey's Septic is a professional company that provides prompt, on time service. We pride ourselves on providing a complete service for a fair market value. We schedule appointments for a 2 hour time frame to prevent you (our valued customers) from having stay home all day for serviceman. We have been in business since the late 1960's. The business was started by Richard "Dickie" Copsey, then Jimmy Gates purchased the business in the summer of 1987. Jimmy started out with one used green truck. He purchased his first new truck in 1995. Since that time the need for our larger trucks has increased. The standard residential tanks went from 1000 gallons to 1500 to a dual chamber 1500 gallon tank. The fact that these tanks keep increasing in size has proven that there is a need for larger capacities in the septic business. Jimmy worked the septic truck single handedly until the summer of 2005, when Copsey's hired our first full time septic driver. Jimmy had been working 6-7 days a week 12 hour days in order to keep up with customer demand. Copsey's Septic is a family run business. His wife Wendy answers the phone, except Wednesday when a friend helps out. Our family approach to business means you're always working with soemone who cares. It's not just our business to provide great service but our family that relies on YOUR satisfaction! Our customers agree that when they work with Copsey’s Septic it reminds them of how service used to be. You’ll agree too! Contact us today for an evaluation or pump-out of your septic system. Ask us about neighborhood service discounts. If you and your neighbors can schedule pumpout/cleanouts at the same time, Copsey's is happy to extend a discount on each home or business served. Ask for more information, they'll give you all the details. 39665 New Market Turner Rd. © 2006 - 2019: Copsey's Septic Services & StormDesigns, Inc.